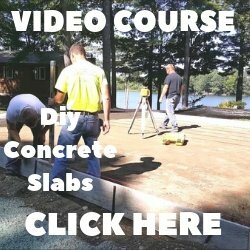 Listed below are the ingredients for a concrete countertop mix that you can make yourself from scratch. There's a lot of ways you can mix concrete for countertops, but this recipe is a proven, high quality mix from our friends over at Concrete Countertop Supply. The weights used in this countertop recipe will produce 1 cubic foot of concrete mix. The cost to make this mix is $22.00 per cubic foot or about $2.75 per square foot at 1.5 inches thick. Remember: It's always a good idea to do a test sample before tackling the whole project. 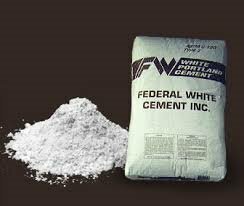 Federal White Type I Cement is a true Portland cement manufactured with selected raw materials to insure negligible amounts of iron and manganese oxides so as not to produce the gray color of normal Portland cement. You can purchase White Cement at Home Depot. Alto-Pozz is a premium blend of highly reactive pozzolans and mineral admixtures containing 50% post consumer recycled content. Designed to produce a superior high performance concrete when combined with Portland cement. PVA (polyvinyl alcohol) fibers are a new, high performance fiber reinforcement for concrete countertops. Like steel, these PVA fibers have high tensile strength and a greater modulus of elasticity than regular concrete. Unlike steel, PVA fibers develop a molecular and chemical bond with the cement during hydration and curing. This high bond strength makes PVA fibers very tough to pull out during bending or tension. 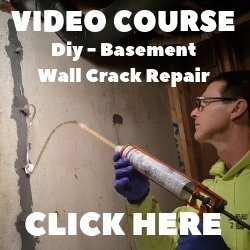 Studies published by University of Michigan researchers demonstrate PVA engineered cementitios composites with tensile strain capacity of 5% approximately 500 times that of normal concrete or fiber-reinforced concrete. Modified polycarboxylated high range water reducing admixture formulated to produce self-compacting type (S.C.C.) concrete. Very low water to cement ratios can be obtained with as much as 25-30% total water reduction. Typical dosage rates approximately 40% less than of standard melamine and naphthalene based superplasticizers, while maintaining the same percent water reduction. A good starting point and very easy way to calculate dosage is 1-mL per 1-pound of cementicious material. So if you have 34pounds of Portland simply add 34mL of OPTIMUM 380. What if I want to buy all the ingredients mixed together in one bag. Concrete Countertop Solutions makes a pre-mixed bag of white countertop mix. You can purchase it right on Amazon. It doesn't have the exact same ingredients but it's a very high quality countertop mix that's very similar to this recipe. One 50lb bag will make about 2.5 square feet of 2" thick countertop. You can go as thin as 7/8" with this bag mix. Accepts all stains, integral colors and hardners. So if you're looking for a countertop mix where all you have to do is just add water, this is a great way to go. What do I use for mixing the ingredients together. We use the Collomix Hand Held Mixer. This makes mixing a breeze. It'll last forever. I've had mine over 10 years and it's still going strong. If you're only going to use the mixer one or two times, then a cheaper brand is Xtremepower's Hand held mixer. We start by adding the water in the bucket first, then add the other liquid ingredients and blend them together. Then add the cement while slowly mixing, once the cement is mixed with all the water add the sand/aggregate blend, then the other dry ingredients. Mix until all the ingredients are blended very well together, then empty the mixture into your forms. You can use this 7 gallon bucket to mix the ingredients in. Where can I buy all the individual ingredients. Those are the basic ingredients for a concrete countertop mix. This is a high performance countertop recipe that can be used for just about any application. All these materials are available at Concrete Countertop Supply.